In How Nations Succeed: Manufacturing, Trade, Industrial Policy and Economic Development, Murat A. Yülek offers insight into forward- and outward-looking industrial policy formulation that can further enhance national prosperity, with particular emphasis placed on capacity-building processes, skill accumulation and science and technology development. This is an excellent volume on industrial development and the sustainable policies to drive this, recommends Uchenna R. Efobi. 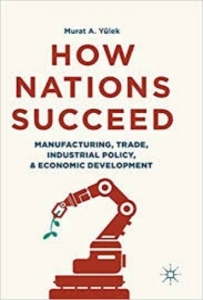 How Nations Succeed: Manufacturing, Trade, Industrial Policy and Economic Development. Murat A. Yülek. Palgrave. 2018. There is an intensifying discussion questioning the viability of the doctrine of globalisation and free trade. Considering the rise of ‘populism’ and ‘nationalism’ in different parts of the world, the foundations of these concepts are debated. The main idea is that the wealth of ‘ordinary people’ is being ripped away by privileged elites to promote a global world order that will control the social, economic and other aspects of life. As is well stated by Mark Blyth (2016), the era of neo-liberalisation is over, while neo-nationalism has just begun. If we consider this era as status quo, then Murat A. Yülek’s How Nations Succeed is a very timely book to enlighten us on forward- and outward-looking public policy that can further enhance the prosperity of nations and the wealth of ‘ordinary people’ through strategic industrial policy formulation. The subtitle gives a satisfactory response to populist oration: ‘Manufacturing, Trade, Industrial Policy and Economic Development’. The book excels by carefully laying out processes to be considered for sustainable industrial development through detailed and highly readable case study reviews and other bullet-point-style policy suggestions that I find practicable. The emphasis on capacity-building processes, critical mass of skill accumulation and science and technology policies for industrial development is highly commendable. Yülek does a good job of introducing the book with a huge historical perspective on industrialisation and the global trade system, carefully crafted in the book as ‘industrialization was never an accident’. The author relates how the historic root of industrialisation can be traced to the pre-colonisation era in Britain and then explains its historical development to the present. He puts in perspective the free trade agreements between the British Empire (and other great forces of the time) on the one hand, and those of the Ottoman Empire and China on the other. Like a well-orchestrated symphony, Yülek draws parallels between the experiences of Asia and Europe, and then concludes the first chapter by recounting the trade strategies of a carefully selected European country, Italy. The second and third chapters of the book stem from similarly rich historic foundations, whereby Yülek depicts the global industrial development process that is embedded in the rise of colonial powers. An outstanding framework is presented in the third chapter which describes the industrial policies of Britain as a colonial power – including import substitution and infant industry protection. There are brilliant accounts of how countries like China resisted imperial trade imposition, and Yülek traces this action to the success story recorded by the Chinese economy in recent years. The later part of the first section describes the historic development of industrial policies in America, Japan, France, Germany and Russia. What I find most intriguing about this book is the depth of history that enriches and gives understanding to current geo-political events. It contains references to archival materials including excerpts from a document written by the Chinese Emperor, speeches made by monarchs and statements from highly placed political actors. These provide a rich background to back up the argument in the early chapters of the book that current industrial development has a colonial root. The link between the desire for cotton and the slave trade in a section of the first part of the book is given as evidence of this. Yülek argues that the viability of cotton production in developed countries in the eighteenth century instigated slave ‘importation’ – Africa contributed 90% of this ‘import’. I would recommend How Nations Succeed to anyone who wants a comprehensive understanding of historic events surrounding the origin of the modern trade and industrial system through the lens of European industrialisation strategy. The second part of the book makes a case for manufacturing as the pinnacle of any meaningful and sustainable development. The first chapter of this section seems like a purging process, where Yülek logically provides context for some misconceptions about the manufacturing process. For instance, Yülek describes reasons for the fall in the share of manufacturing output as economies grow. One argument, which I find compelling, is that not all manufacturing adds value to the economy. This is true in its entirety. The ‘smile curve’ – manufacturing value generation that includes developing, designing, branding, manufacturing, marketing and selling a product – is introduced as a framework to support this claim, with contemporary examples of Apple and Foxconn and the automobile manufacturing sector in Turkey. However, this chapter ends with a consoling proposition that manufacturing at the initial stage (i.e. assembling products) can be an important first step towards productive and technological learning curves, which can substantially contribute to sustained industrial development. Of course, this will require sound policies to ensure that the transition from low-value manufacturing to high-value industrial development is smooth and sure. The second and third chapters of this part discuss ‘hard work’ and ‘smart work’ in drawing a distinction between the doctrines of labour-induced manufacturing to enhance growth (as proposed, among others, by Paul Krugman’s productivity explanation, which unfortunately has remained the strategy of developing countries in vain), and the growth that stems from Paul Romer’s endogenous growth theory, based on positive externalities from human and physical capital investment leading to increasing return to scale from growth in innovation triggered by effective industrial policies. For the latter, Yülek advocates compelling cases of industrial policy and transformation based on South Korean and other East Asian developmental strategies. 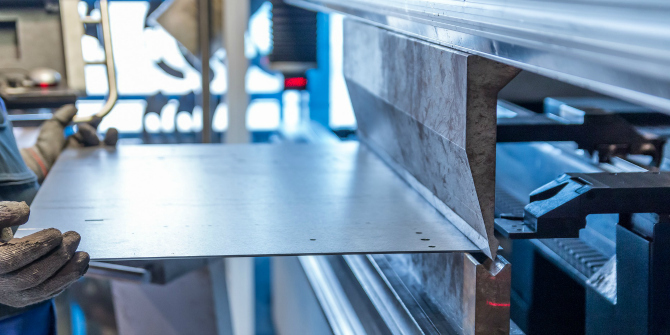 Here, Yülek highlights that South Korea’s industrialisation was a mixture of improved productivity through innovation and a deliberate evolution towards high value-added and more sophisticated production processes. Learning by doing has indeed paid off for South Korea, right? But that was not the whole story – South Koreans had a more targeted industrial policy that envisioned a systematic transitioning from a low technology to a more sophisticated technology-driven production process. The third part of the book is a ‘must read’ for all interested in anecdotes and practical evidence of how countries have formulated their industrial policies for higher productivity and competitiveness. This section also highlights the power of the state in driving such industrial policies: examples are taken from paradigms in South Korea and Sweden in stressing how governments can revolutionise the manufacturing processes of their respective countries by being intentional and strategic in policy formulation for industrial development. My main disagreements with the book are three-fold: first, the emphasis on industrial policies seems one-sided – mainly purported at seeing industrial policy from a positive perspective. Although Yülek underlines that ‘governments (policies) fail; but so do markets’, the book does not have a solution on how to make sure governments succeed in implementing industrial policies. There are arguments that have cautioned on the need to carefully consider corruption, poor financial resources for industrial policy and poor state capacity to drive such policies. These are some of the fallout from implementing industrial policies. This is even more important as this book targets audiences from developing and developed countries, and the issues earlier identified are predominant in the former. Second, one would have also loved to see more emphasis on micro, small and medium enterprises, and some of the practical roles of industrial policy in helping them leave the low productivity trap. Yülek had pockets of such discussion in this book. Third, industrial productivity in this book is viewed from the supply side, while neglecting the demand side. For instance, it is possible that the growth in aggregate demand can instigate growth in investment in new technologies and innovation to meet such demand. The author did not consider this perspective. On the positive side, the book provides contemporary case studies of successful episodes of industrial policy, such as Sweden’s Saab, Europe’s Airbus and South Korea’s automobile and nuclear reactor industries. Overall, this book is an excellent volume on industrial development and sustainable policies to drive this. One can only expect that the book will have a wide readership, and the information contained within it will be able to change perspectives of the industrial process. Dr Uchenna R. Efobi is a faculty member in the College of Business and Social Sciences, and a Research Fellow at the Centre for Economic Policy and Development Research, Covenant University, Nigeria. His PhD concerned international trade and finance in the SSA region. His latest book on sustainability is titled Financing Sustainable Development in Africa, and it strongly emphasises specific cases of indigenous financing options for Africa. His current research interests are focused on issues related to development economics, governance and sustainable development in Africa.